Since I had such a great time doing the October Photo Challenge last year, I thought it would be a good time to start on another photography challenge. This time it won't be a monthly thing, however. I've decided to join up with Project 52, a photography challenge in which you take one themed picture each week for a whole year. I think it will be a great way to capture our first full year in Hawaii, and I'm really excited about it. So let's get started! 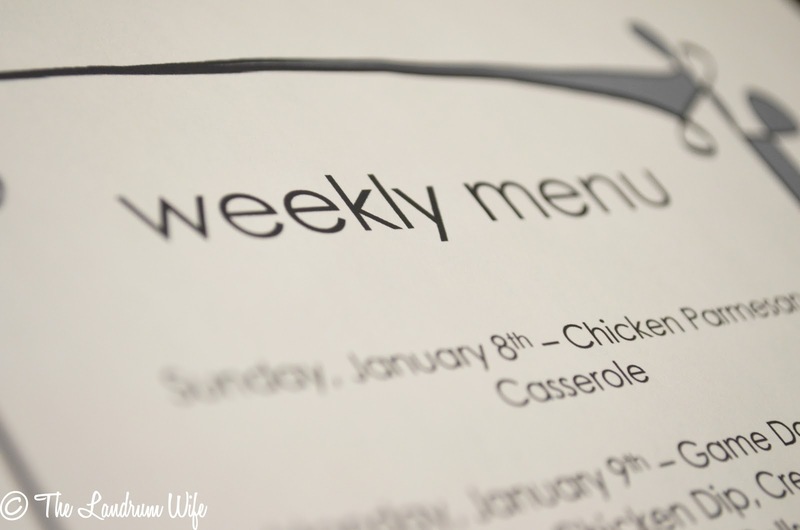 A resolution of mine this year is to start planning out our meals each week. Since eating out can get pretty pricey here on Oahu (and in all reality, it's expensive anywhere! ), I figured it would be a great way to save a little cash and spend more quality time with Mr. L. We have a bad habit of eating in entirely separate rooms (him in the office upstairs, and me downstairs in front of the TV) and I really hope we'll learn to squelch that and eat together at the table. What's your New Year's Resolution for 2012? Do you have quite a few, just one, or none at all? Share them with me below! I have a bunch of resolutions! But I tried to focus on five, and even that seems like a lot, ha! I love meal planning, it makes me feel oh so organized and keeps me from running to the grocery store multiple times a week. Good luck! Meal planning should have been one of my resolutions...especially since I have 3 kids and eating out is very expensive. Great job on the picture! Thank you Kim! And wow, five! I definitely do not have that many lol. I like to think of mine as more "guidelines on how I'd like to improve my quality of life" instead of "resolutions". We'll see if it makes any difference in the long run haha. Thank you too, Kia! Eating out can be such a drag on your budget, and I'm afraid it's something that Mr. L and I enjoyed far too often when we lived back on the mainland. Hopefully we'll be able to curtail those urges and stick to our meal plan!